One of the current challenges faced by every team is to recruit and retain new talent. In an effort to address this problem, we at PMISV leadership team decided to put in a team of new volunteer leaders and let them execute without the fear of failure. The senior leadership mentored the team all the way and utilized the opportunities to make the team excel in collaboration, leadership and decision making. The end result was a very successful 2018 Symposium which was rated as the best symposium that the chapter has put together. 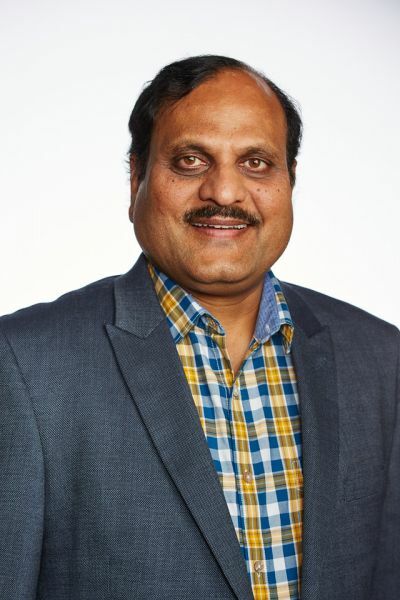 Bhanu Viswanadha, PMP,CSM,PMI-ACP, SAM is the IT Architect at NetApp. Previous positions include Program Manager at a major retail and healthcare company and Technical Leader at APL Ltd. While he was the PMO manager at Safeway Inc., he implemented a process for recruiting, mentoring, and motivating the Safeway project management community. Mr. Viswanadha’s other projects include delivering a training program for project manager coaching/mentoring in both waterfall and Agile methodologies. He has also been an Adjunct Professor at Golden Gate University and he is a Past President at PMI Silicon Valley. Bhanu has Masters in Mathematics from Indian Institute of Technology Kharagpur, India and Master of Technology in Mathematical Modeling and Simulation from University of Pune, India. Terrie Mui, PMP, SAPM is a Program Manager at Maxar Space Solutions a global leader in spacecraft and space-related systems. She has held program manager positions at PMO level in high technology industries in both start-up ad mature companies. At SSL, she implemented a company- wide project management collaboration event, that mentored and motivated project managers through shared best practices. An experienced PMI volunteer, past President, and Board member, she has initiated new member events such as the Women's Forum and Belmont Breakfast meetings, creating opportunities for volunteers to practice their leadership skills. As VP Strategy of the Silicon Valley chapter, she has created and implemented the chapter's Leadership Training Program for future leaders, and mentored the Symposium Event teams. Her other responsibilities is the management of the yearly board transition activities and long term strategic planning efforts. Terrie has a MS in Systems Engineering from USC, and a BS in Mechanical Engineering from Loyola Marymount University.